I've always had a love for food. Growing up in a multi-cultural background, and a family who loved to cook & bake, we had a variety of traditional Italian, Polish, Irish and German recipes. Visits to Italy enhanced my love for sustainable, regional and seasonal cooking, and now working at Eataly continues this food journey that I am on. In a recent article that I wrote for Eataly's "Hot Topics" Newsletter, I was reminded of a recipe a former co-worker gave me many years ago. I hadn't made it in a while, and so I decided to resurrect it, and I'm happy to share it with you here in the blog today. Start with making a batch of your own homemade chicken soup. While the soup is cooking, scoop out the guts of the pumpkin. You can put the seeds aside for roasting later. The main event here is to cook the soup halfway, then pour it into the pumpkin. Place the filled pumpkin onto a cookie sheet and put it in a 350 degree oven. 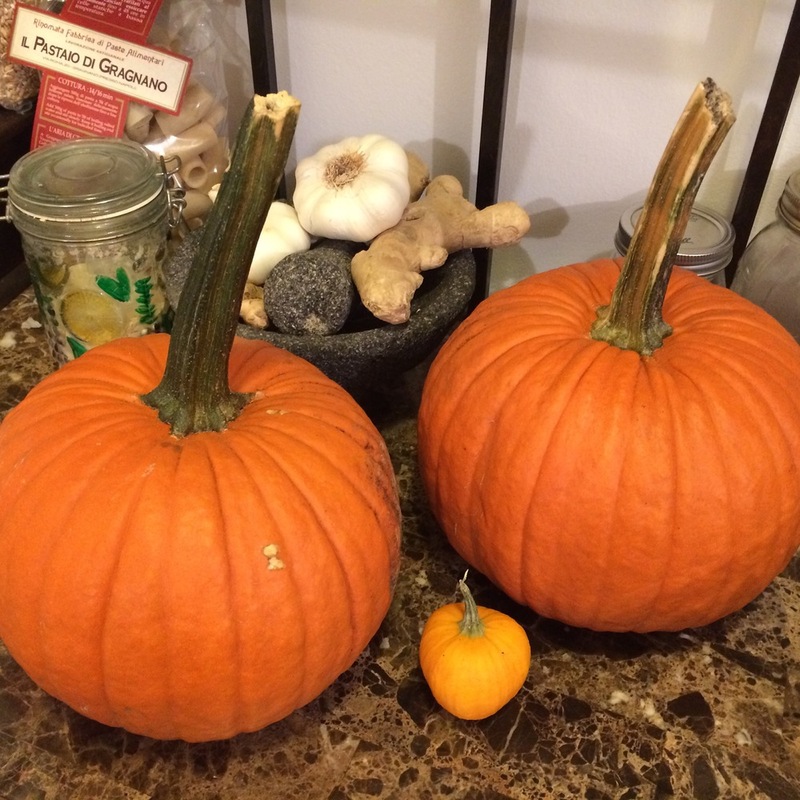 Baking time will vary on your pumpkin size. As the pumpkin cooks, it will easily glide into the chicken soup with a gentle scoop of your spoon. It is delish! È delizioso! Enjoy!